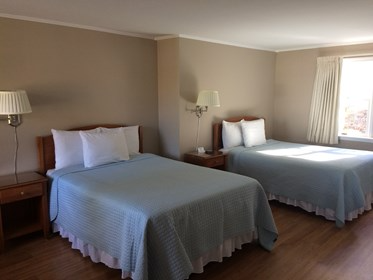 Our Standard room features either two full size beds or one king bed, sitting area, television, refrigerator, coffeemaker, and private bath. 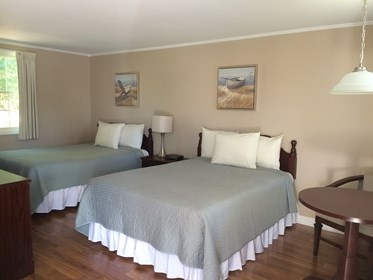 Our Deluxe King room features a king bed, sitting area, television, refrigerator, microwave, coffeemaker, and private bath. 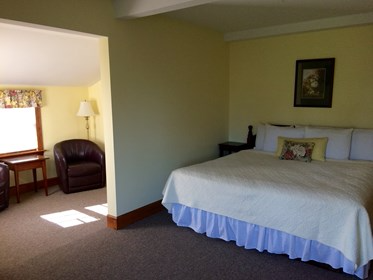 Our Deluxe Queen room is located on the first floor of our renovated West Chatham Schoolhouse. This room features a queen bed, sitting area, refrigerator, television, microwave, coffee maker, and private bath. The Deluxe Queen is handicap accessible. This room is a favorite among our returning guests. The Superior efficiency features two full size beds, dining table, sitting area, television, kitchenette and private bath. The kitchenette provides all you will need to enjoy meals in the comfort of your own room. Our Superior King is located on the first floor of our renovated West Chatham School House. This room features a king bed, sitting room separate from the main room, television, refrigerator, microwave, coffee maker, and private bath. This room is a favorite among our returning guests. The Superior room features two queen beds, sitting area, television, refrigerator, microwave, coffee maker, and private bath. 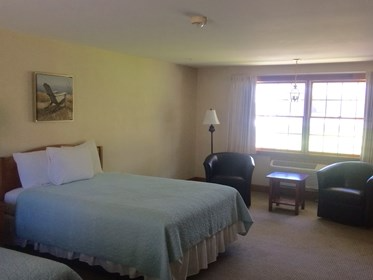 This room is the largest on the property and perfect for families. © 2019 The Chatham Motel. All Rights Reserved.